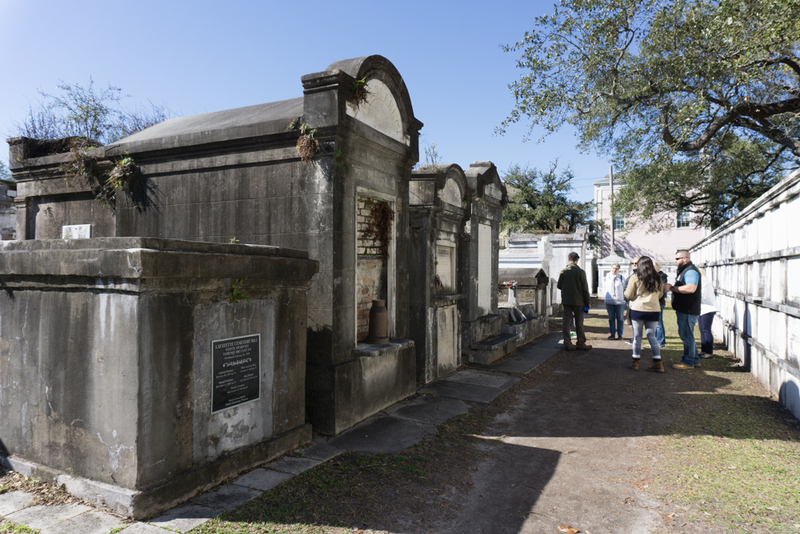 We started out from none other than the historic Lafayette Cemetery #1, the City’s first planned cemetery, which you may recognise from movies such as Interview with a Vampire, Double Jeopardy and Dracula 2000, or any number of music videos filmed here. It was fascinating to learn about the above-ground cemeteries and how they were managed. The sun played an important role in enabling the tombs to be used for numerous members of a family or society (one supposedly has 35 family members!). Without getting too morbid, the deceased was placed inside the tomb and the tomb was sealed, by law, for ‘a year and a day.’ The tombs were like ovens and the disintegration process was accelerated by the captured heat. If another family member passed away during that ‘year and a day’, they were sealed inside temporary vaults in the cemetery’s walls (hence why they’re so deep) until the required time had passed. Put this cemetery on your ‘to do’ list, you will not be disappointed. I could have spent a whole day here – it’s a fascinating window in the city’s history! 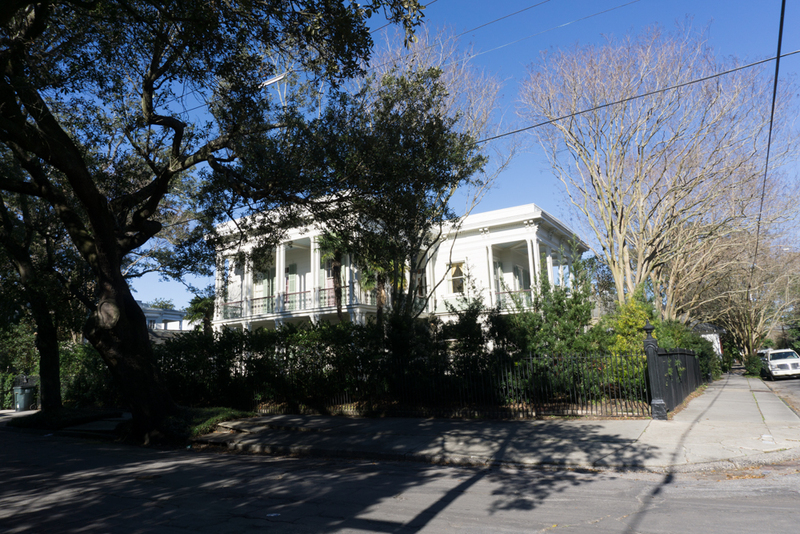 So then we wandered the streets of the elegant, tree-lined garden district. 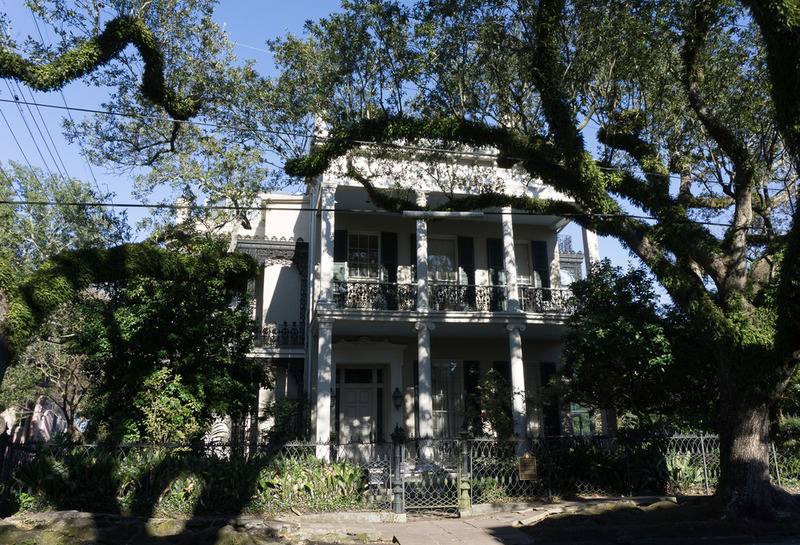 We saw quite a number of historic and celebrity homes (Anne Rice (below left), Nicholas Cage, Sandra Bullock (below right), John Goodman just to name a few). It was like taking a journey back through time, the various architectural styles bridging the gap between generations. One historic house had a novel way of keeping the interior cool by building the kitchen away from the house near the boundary fence. All good and wonderful, however, the servants’ quarters were built above the kitchens. I can only imagine the stifling living conditions they had to endure during the summer months! 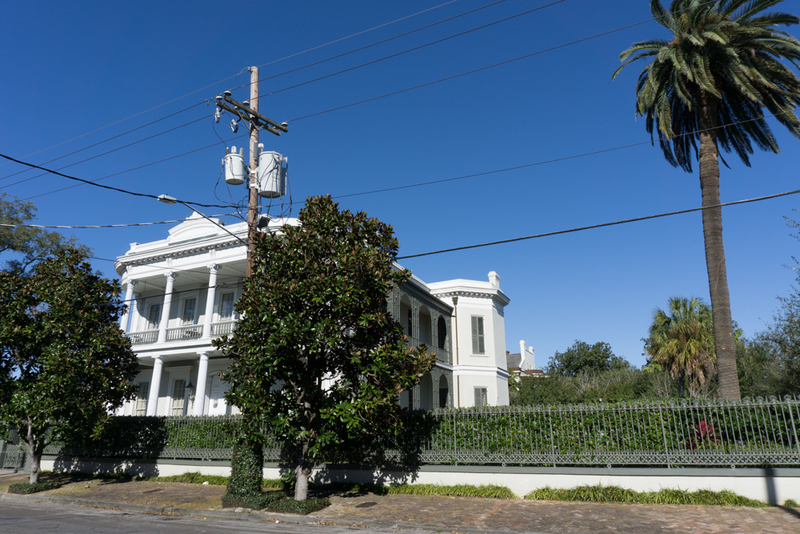 Again, it’s hard to pick a favourite, but for me it was the New Orleans Opera Women’s Guild Home, such a beautiful building. 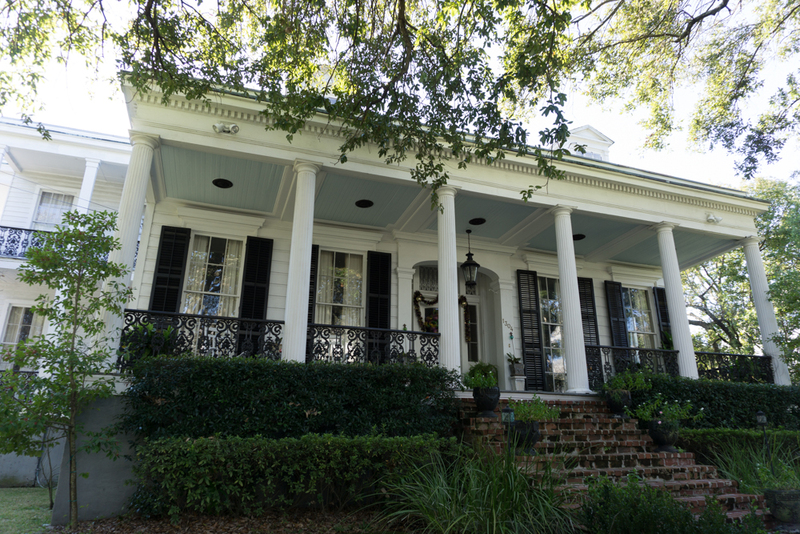 Originally built in 1859 for Edward A. Davis, the house was donated to the Guild in the 1960s. Be sure to wear sturdy footwear as tree roots have damaged the ground, footpaths and roads all over the Garden District. The images in this blog were shot using Sony a6000 and iPhone.